Many homeowners in these challenging economic times are looking for HVAC units that offer lower equipment prices but also high efficiency that will reduce their energy consumption and costs. That’s where quality units like the Dave Lennox Elite Series XC16 Central Air Conditioner come in. This 2-stage cooling model is about mid-range in terms of price for a Lennox but is efficient enough to be an Energy Star product and qualify for the federal energy efficiency tax credit. 17.2 Seasonal energy efficiency rating, Energy Star. Humiditrol is an option which I had installed later. When you purchase an Energy Star rated product you want to make sure that you’re getting your money’s worth. The best way to do that is to leave the installation to a qualified contractor with experience and a good reputation. Getting a central air conditioner to provide maximum efficiency and comfort requires installing it correctly and adjusting the air handler/furnace to provide consistent, balanced cooling throughout the house. 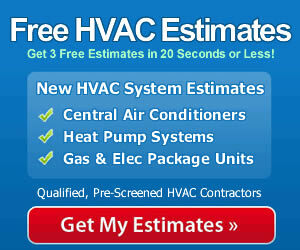 You’ll enjoy a more comfortable home with better service from your equipment with professional installation.